Insurance group: 15 - 40 How much is it to insure? 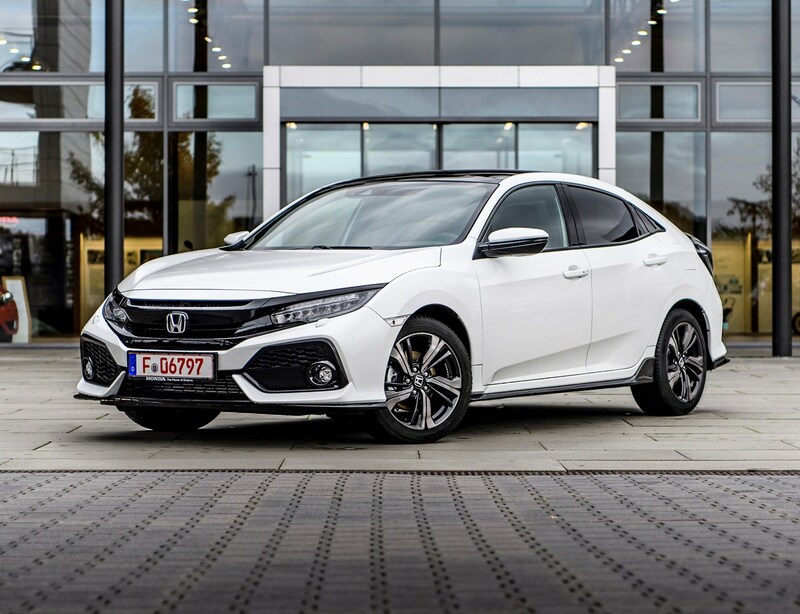 The British-built Honda Civic hatchback is now in its 10th generation – and this time around, it looks a whole lot more conventional than before. It's still a leftfield choice, but less so, and now it's built in Britain too. 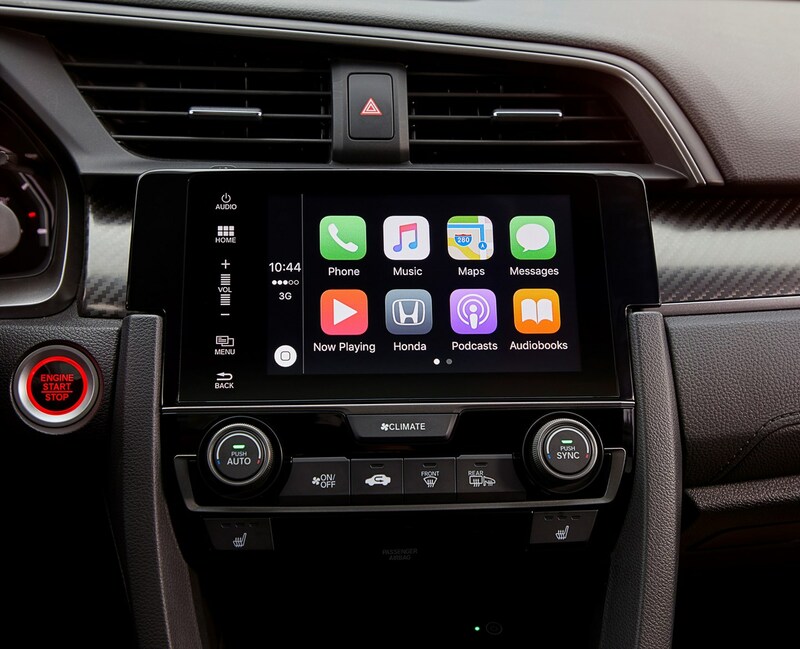 Civic has enjoyed the largest single-model development programme in Honda’s history, and unlike previous incarnations, it will be sold in essentially the same form around the globe. 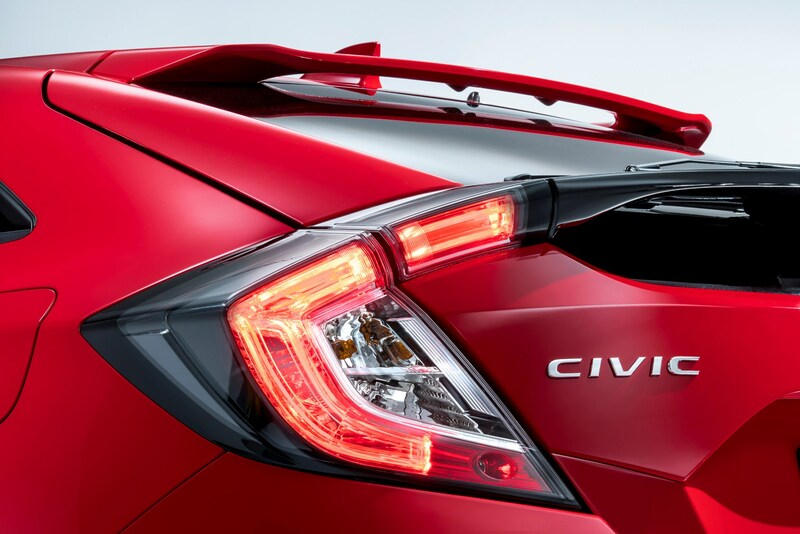 The Civic’s relatively low roof and sporting bodykit means it’s not a car for shrinking violets. The front and rear bumpers are low and aggressively styled, while the sloping, fastback tailgate is more coupe than family hatchback. 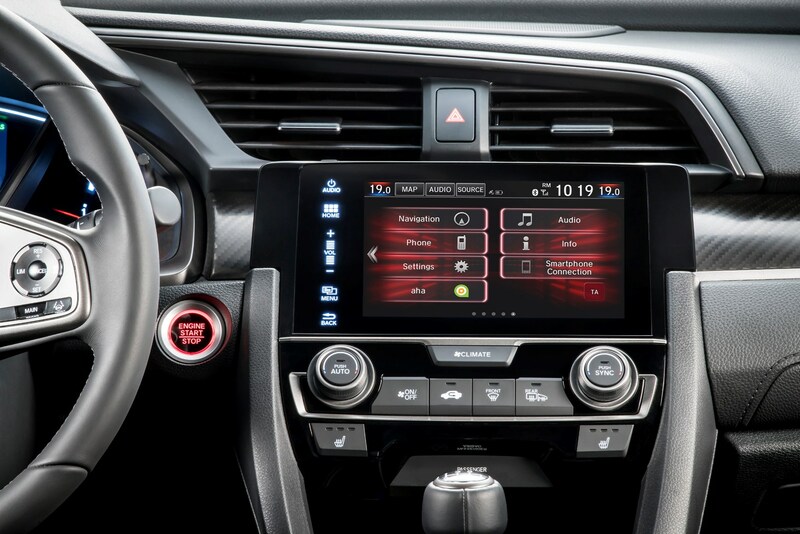 The sporting look is deliberate – Honda wants to attract new buyers to the Civic, and believes making it look and feel more dynamic is the correct way of going about things. 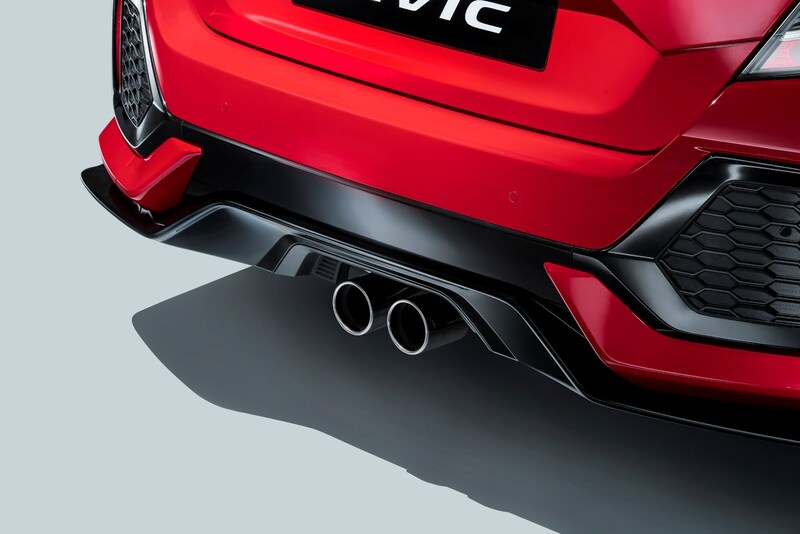 It’s longer, lower and lighter than before, and the way the new Civic is styled, with its purposeful looking air intakes, vents and spoilers, Honda is making sure buyers know about it. 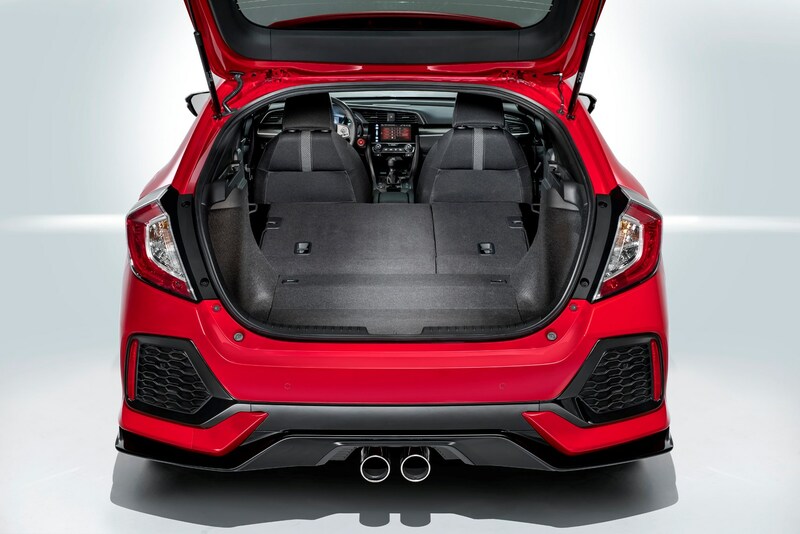 Is there more room in the Honda Civic? 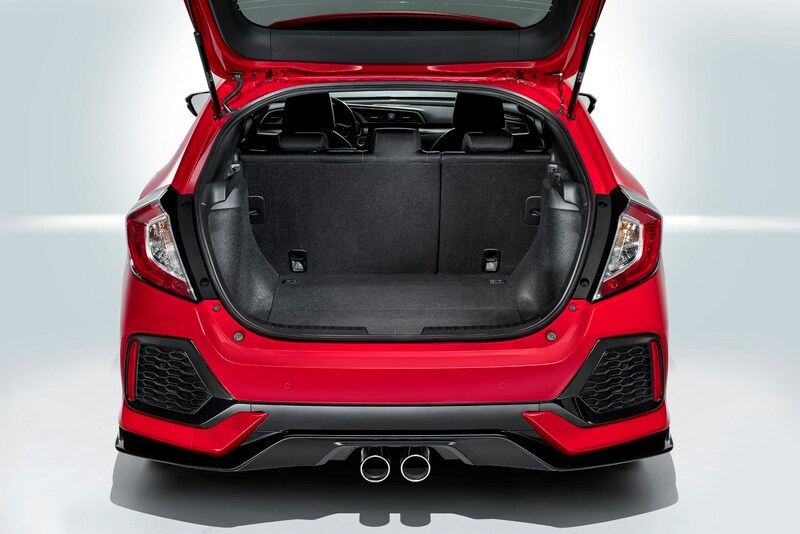 The additional length over the old model, combined with the stretched wheelbase, has given the new Civic more passenger space in the rear. 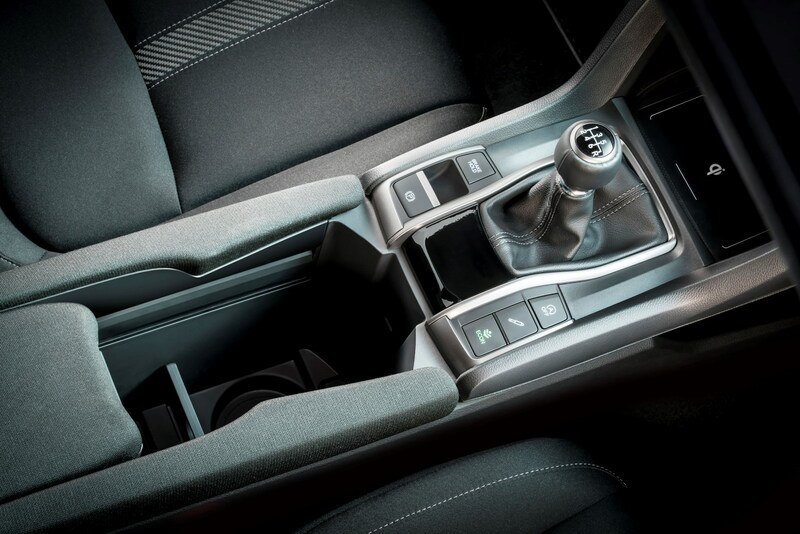 In the front, there’s also more headroom, which adds to the sense of airiness inside. 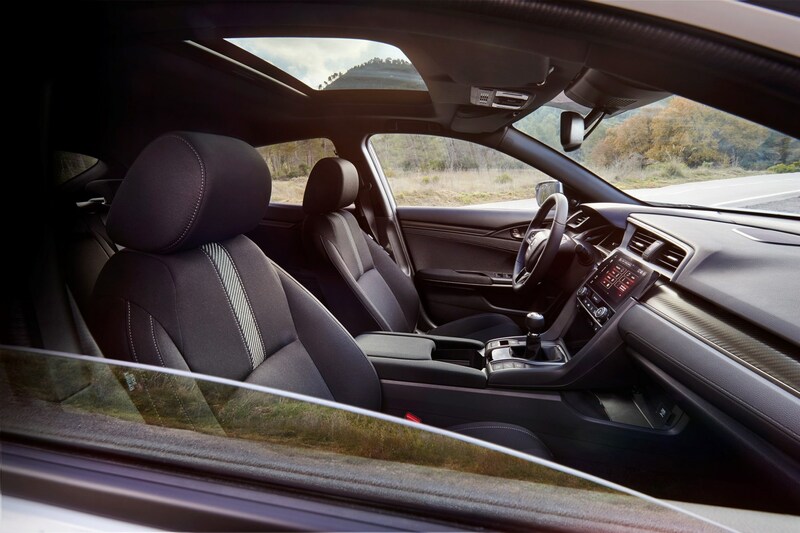 The Civic now has a lower and more reclined driving position, which is part of its new sporting persona – probably good enough reason for it losing a dash of rear headroom. 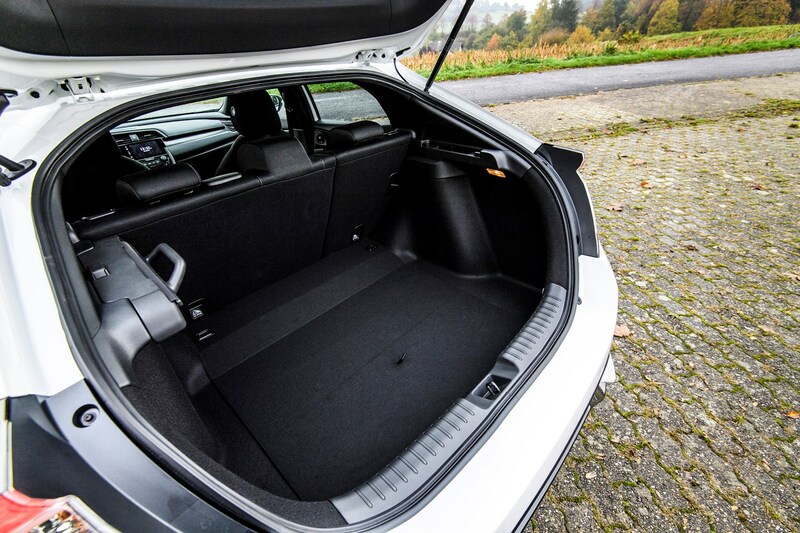 The boot is usefully sized, with a capacity of 478 litres with the rear seats in place. It has a split floor for added practicality – and the slimline luggage cover that slides across the loadbay is a very neat touch. 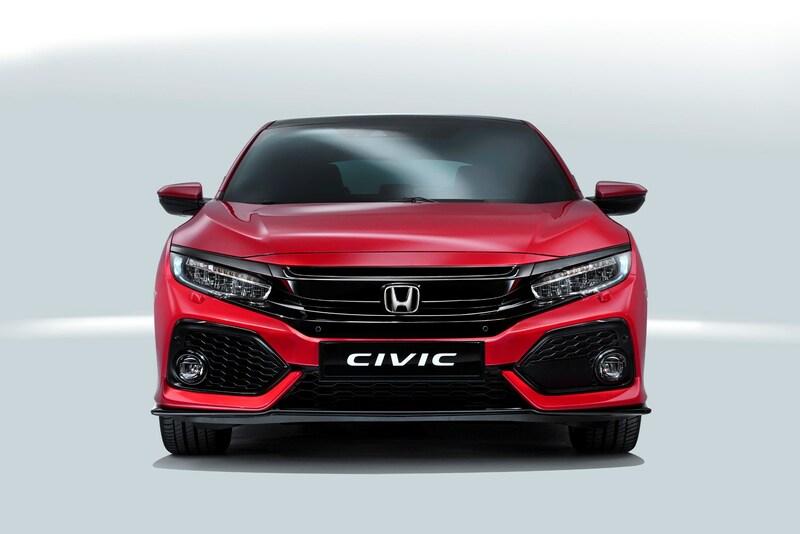 At launch, the Civic was available with 1.0-litre three-cylinder and 1.5-litre four-cylinder turbocharged petrol engines. 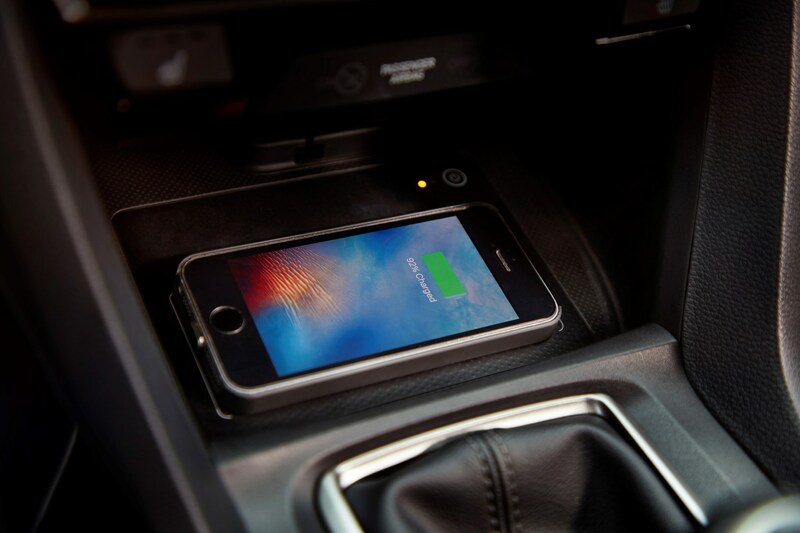 The smaller of the two develops 129hp and has an official combined fuel consumption figure of 55.4mpg. 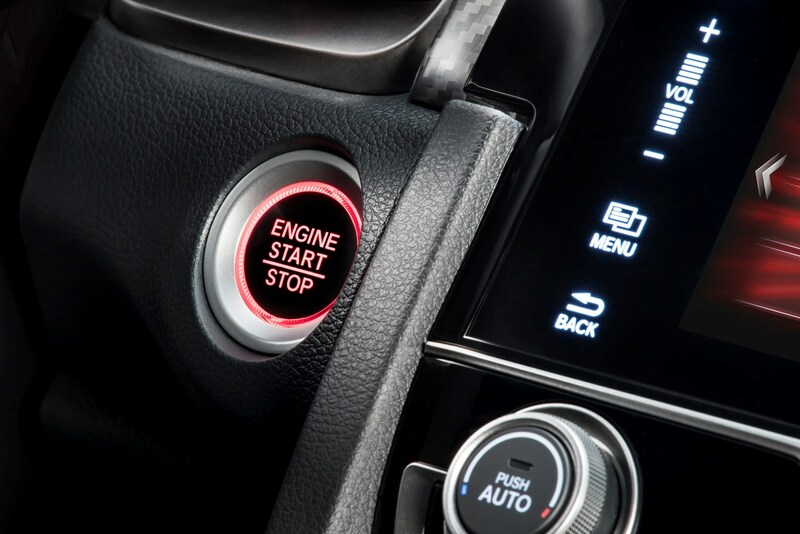 The larger 1.5-litre engine produces a generous 182hp and returns 46.3mpg. 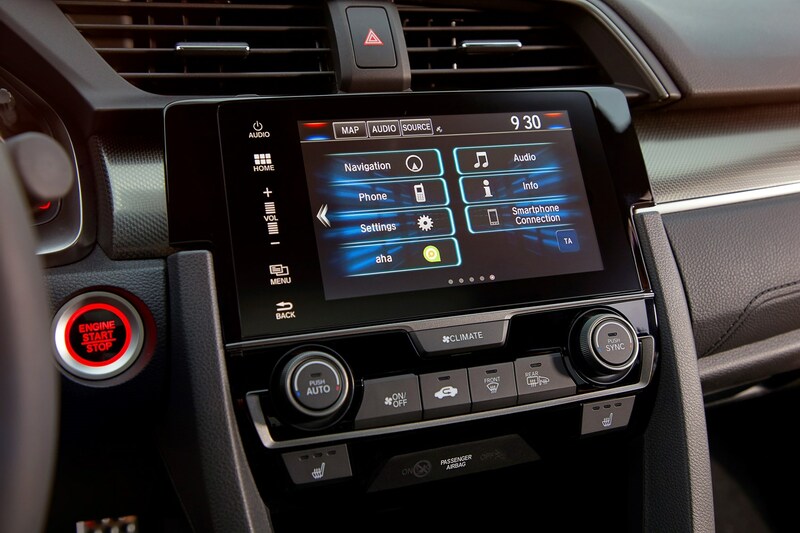 Unusually, Honda offers both engines with its CVT automatic transmission – there’s a slight payoff in terms of efficiency, and it’s a slick-shifting unit. The company says 40% of buyers plump for this version. 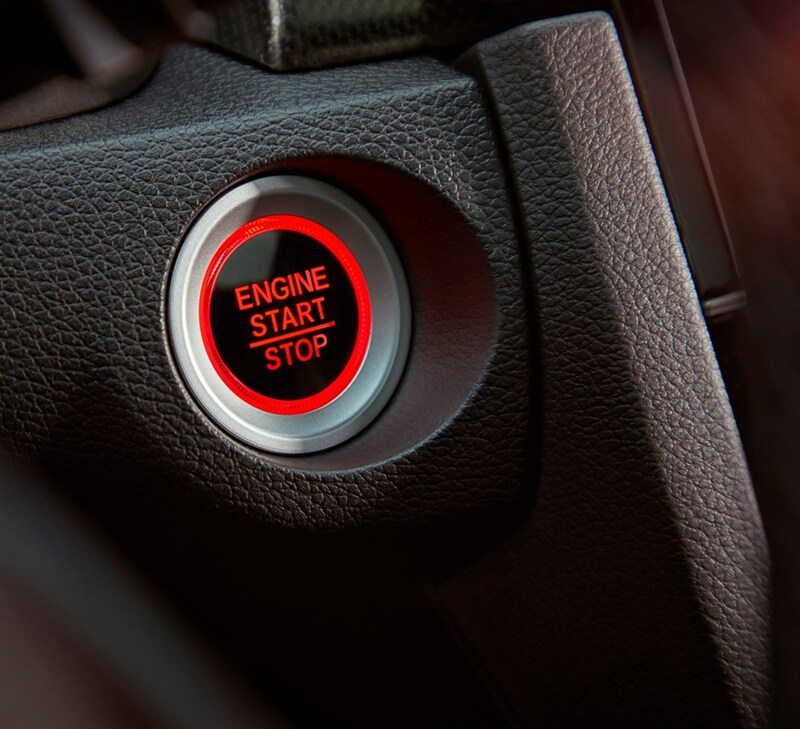 So, what about diesels? 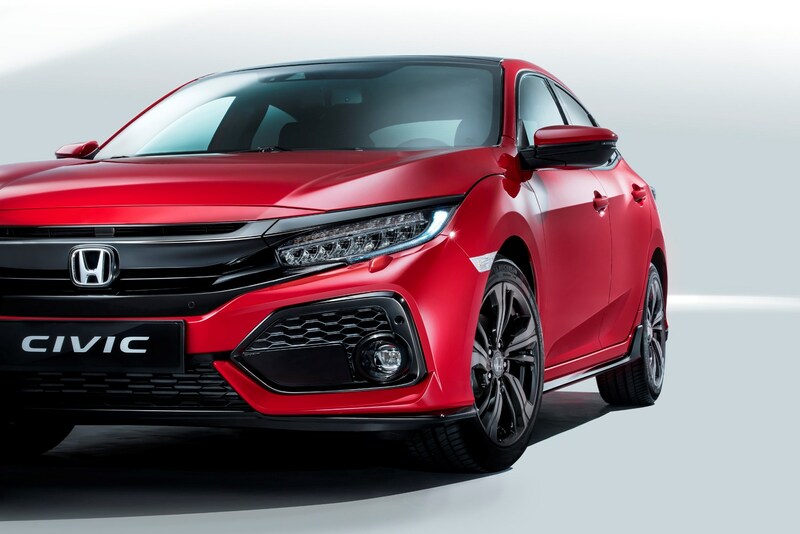 An updated version of the previous-generation Civic’s 1.6-litre i-DTEC powerplant launched early in 2018. 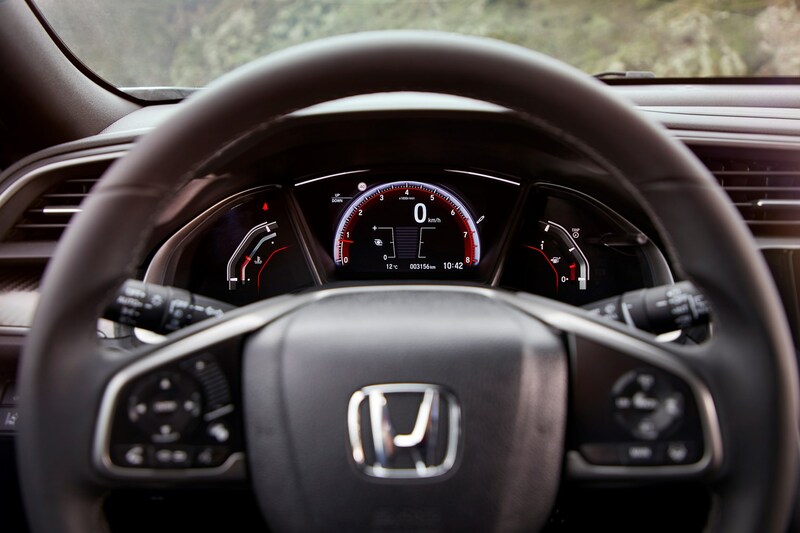 Despite the decline in diesel sales, Honda expects it to be very popular still, and it boasts the lowest running costs in the range with claimed economy of 80.7mpg and 93g/km of CO2. 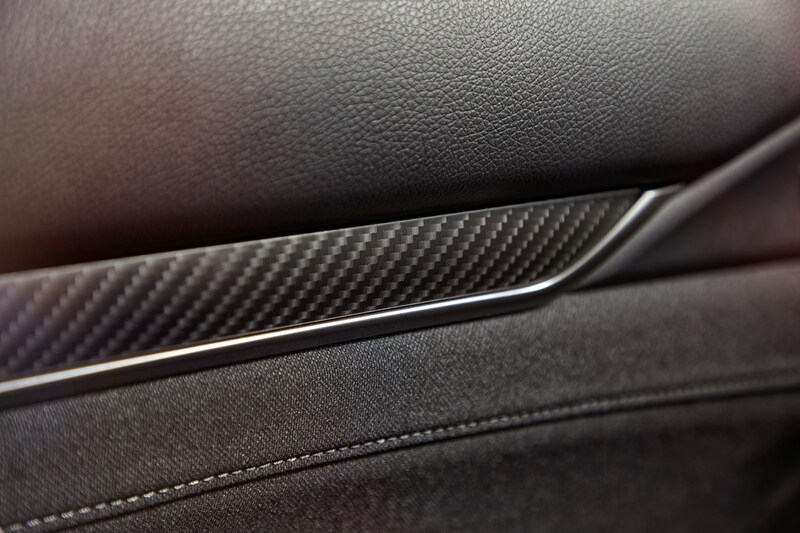 What trims are available on the Honda Civic hatchback? 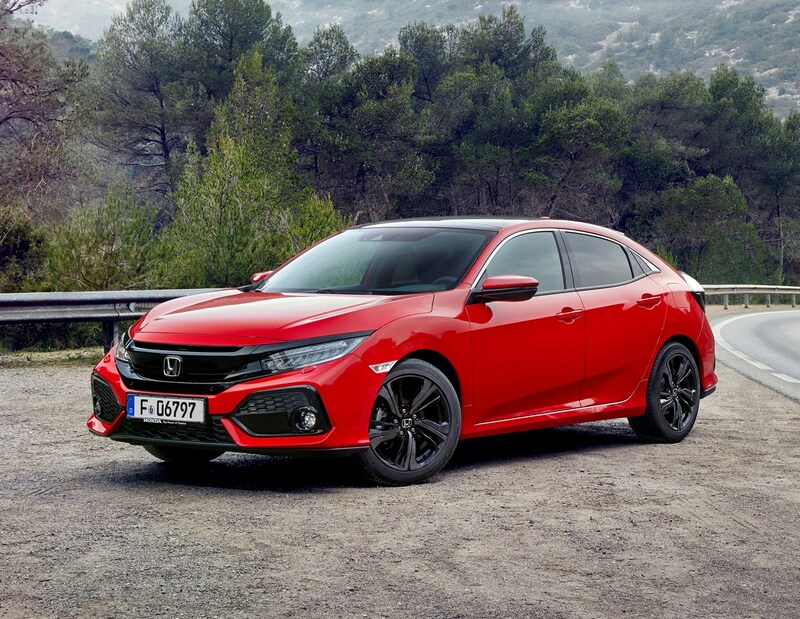 At launch there were six trim levels on the Civic line-up - SE, SR, EX, Sport Plus and Presige - and in December 2018 Sport Line spec was added to the range, offering a sportier take on the existing SR specification. 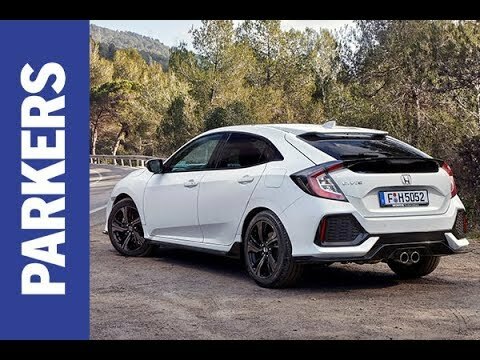 High-performance Honda Civic Type R tops out at 169mph! 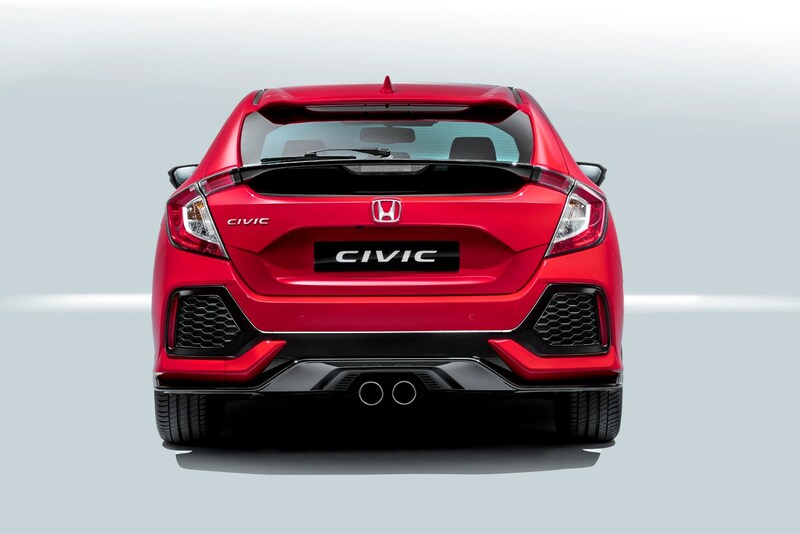 As is now customary with the Civic, Honda released a performance version to head the range. 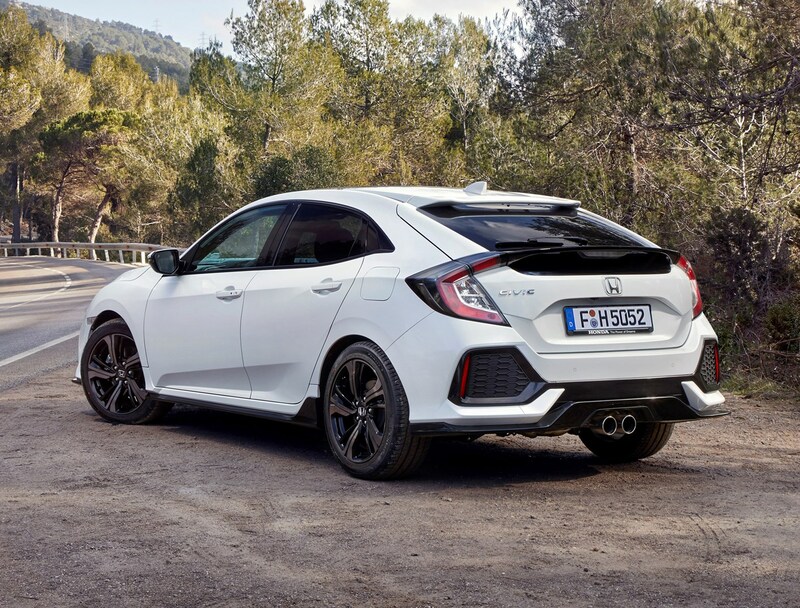 It hit UK showrooms in July 2017, and the Type R became the fastest roadgoing Civic of all thanks to its 320hp 2.0-litre turbocharged engine (above). 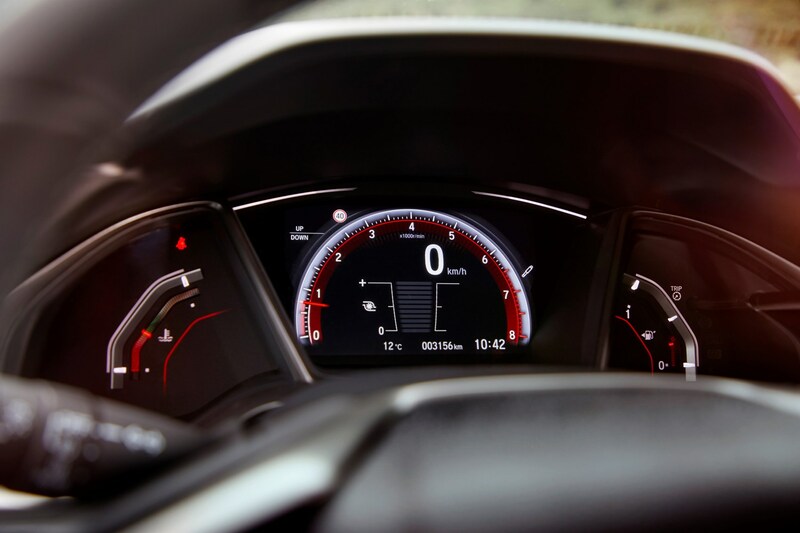 Performance figures are impressive – 0-62mph takes 5.7 seconds and maximum speed is 169mph. 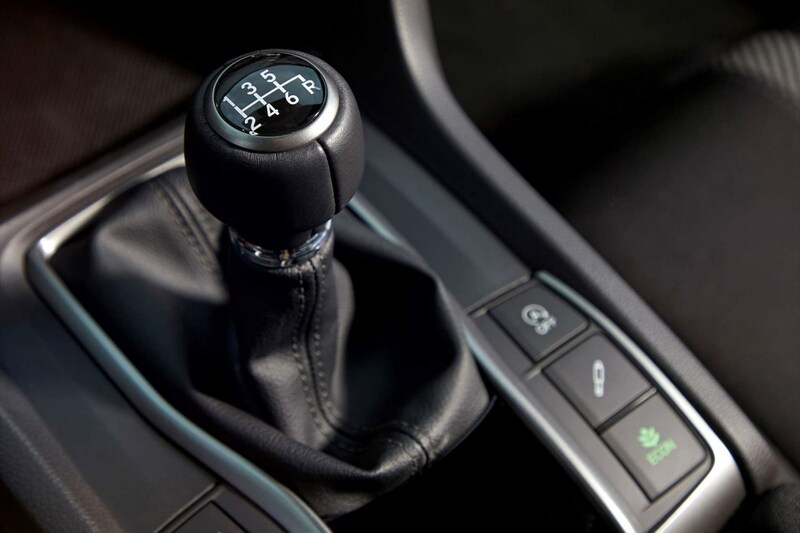 If that acceleration figure feels off the pace, consider that the Civic is front-wheel drive, and its faster rivals, such as the Ford Focus RS and Volkswagen Golf R are four-wheel drive. 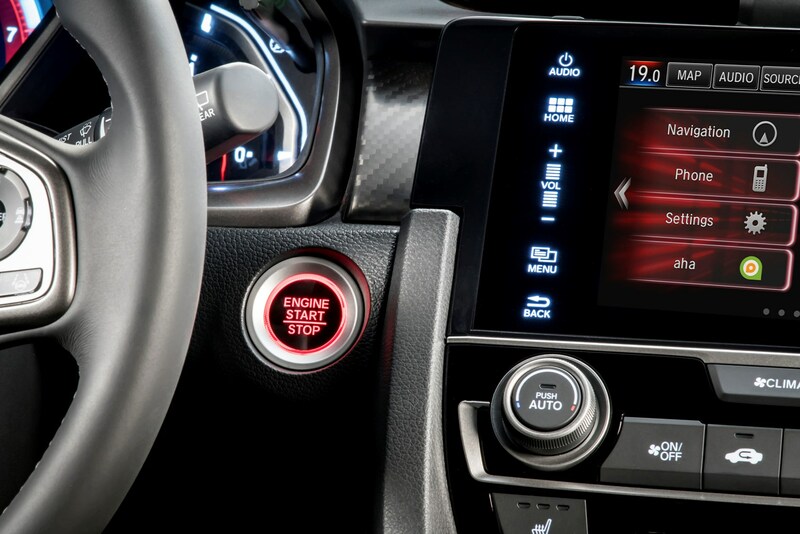 Available in two trim levels, standard and GT, the Civic Type R is more habitable than earlier cars to wear this badge, thanks to a new Comfort mode. 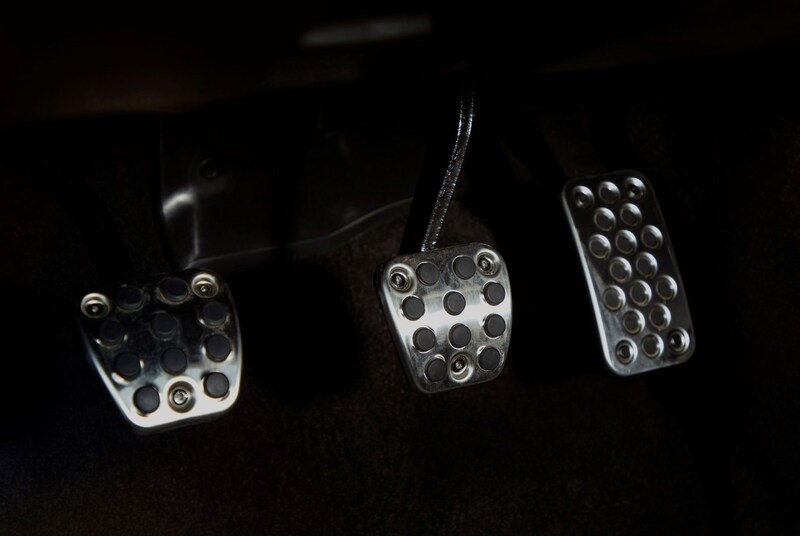 GT models are fitted with additional standard equipment over what is an already generous spec. 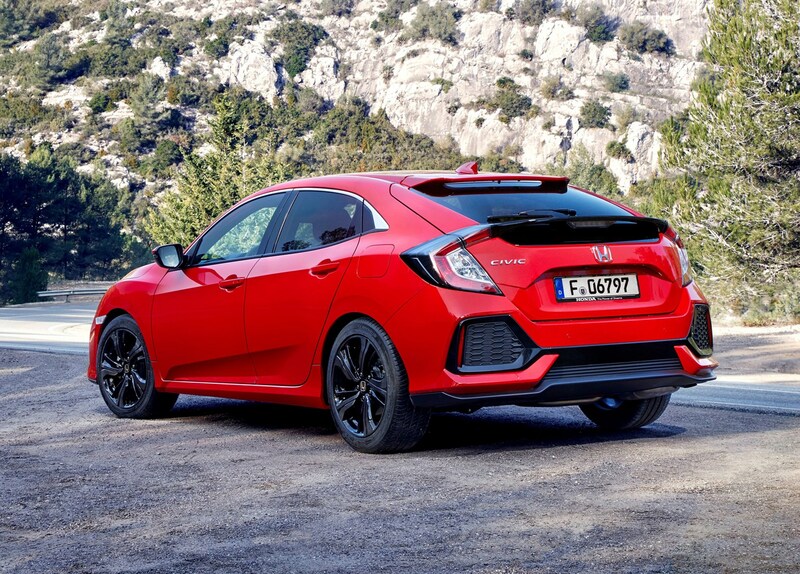 Compared with its main rivals, the Ford Focus, Vauxhall Astra and Volkswagen Golf, it is still a highly-styled and unconventional looking car – which makes it a good choice for those who want to stand out in a crowd. 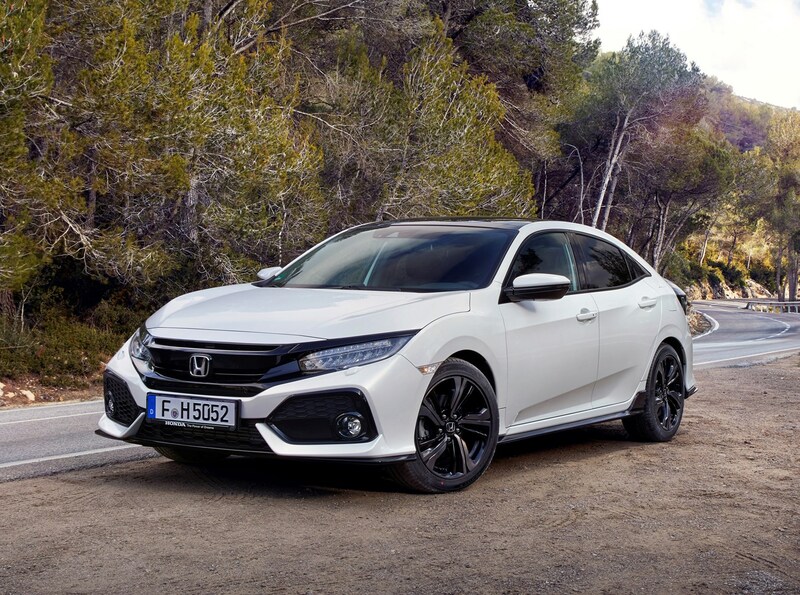 Don’t let the new styling fool you into thinking that this Civic is any less interesting than before – it has a sophisticated engine line-up and uprated suspension. Overall, it’s more powerful and efficient than before, and certainly more accommodating, making it a compelling choice against the mainstream opposition.